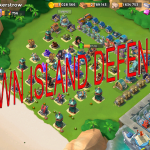 Defense against warriors | Boom Beach. All about the Game! ← Zookas behavioral factor. Useful video. 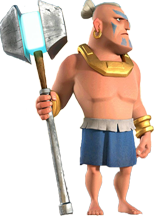 Warriors are the only kind of troops which attacks enemy with a cold steel arms in the Boom Beach. 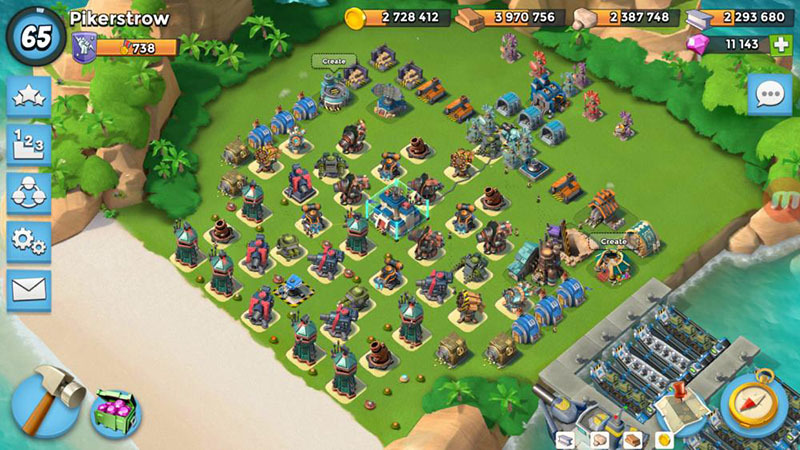 Group of Warriors armed by the huge magic hammers can destroy the Headquarter for 10 – 15 seconds and defend the base from them isn’t very easy task. 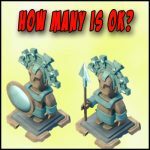 I’m sure that every Boom Beach player was robbed by warriors not once and I’m not an exception. 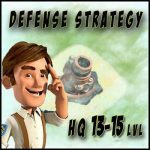 In this post I’ll share my experience how to place defensive buildings and create working defense against Warriors. So let’s to start. From my experience I can say with certainty that one of the most important elements of a successful defense against Warriors is the presence of prototype defenses Shield Generator. 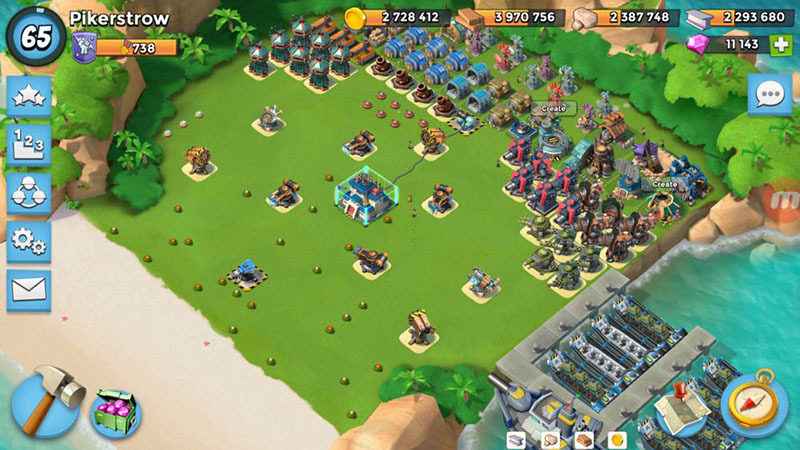 Only existance of this prototype on your island reduce the number of attacks almost twice! But unfortunately only to place the Shield Generator isn’t enough and to put other defensive buildings in the correct places is also very important. The Flamethrowers should be placed near the Headquarter. It’s an axiom. But don’t install them very close to the walls because such position makes them more vulnerable for enemy artillery (Barrage). Place them a little bit farther from the corners of HQ. Place Shock Launchers and Rocket Launchers on different sides of the island. Such arrangement considerably complicates diverting weapons by Critters or disabling them by Shock Bombs. Don’t install mines close near the walls of the HQ. This is useless because all them could be destroyed by only one shot of Barrage. Better to spread them evenly on the all territory. In such case a few mines detonate when warriors will be on their way to your HQ. Place the mortars so that the HQ was into the range of its fire. Mortars are also very good weapon in the fight with the Warriors. 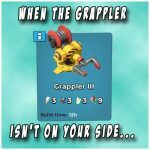 As a second prototype defenses I recommend to use the Damage Amplifier, Lazor Beam or Shock Blaster. But don’t install the proto near the Shock Launcher or Rocket Launcher. Place it on different side. Notation: I don’t recommend to use as a second prototype the Hot Pot due to it short range of fire. According to this feature for defense against Warriors it should be placed near the HQ where we already have 4 Flamethrowers. So I think that from the Shock Blaster we would have more benefits because it can be placed further from the HQ. Here is my layout for the last three weeks. During this time my base was attacked by warriors only 5 times and only one attack was successful for the opponent (but there was huge amount of energy – almost 200%). Base layout for HQ 13,14 and 15. What quantity of “ice” statues is optimal? Poll. This entry was posted in DEFENSE, UNITS and tagged Defense. Bookmark the permalink. Hello, first of all, let me say that you really do great explanations, and have great tactics ideas for this game, that i love so much. I’m a bit less developed than you (still at level 58 of experience). But, from looking at this layout, it came to me, isnt it fragile against heavy/zooka combinations, using the smoke cover tactic, attacking you from behind in one of the corners? Hi! Thanks for the comment! Can’t answer on Your question because I can’t eve recall when I was attacked by Heavies and Zookas last time. But I can say with confident that this layout isn’t very good against Grenadiers and Medics. The opponents where the most successfull against my defense exactly with this combo. And few times I was raided by “smooka” from the rear… but the opponent had a huge amount of energy.